After missing the last couple of Continuums we are back and running and selling games all weekend. Room D101, in the main building upstairs on the first floor. What Games are we running? Lots of Monkey, with the odd game of RuneQuest2, 13th Age Glorantha, River of Heaven, Beyond Dread Portals, and OpenQuest. See the following pages for full details. 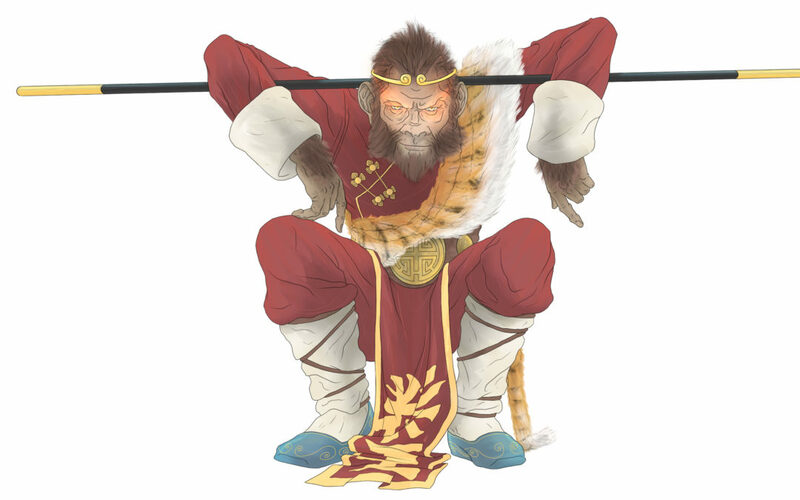 On Saturday afternoon we will be running our three table Monkey extravaganza, The Mandate of Heaven. Play a Chinese Immortal in one of the three cites of the three worlds of Monkey; Western Heaven (with Lynn Yin), Chang’an The Chinese Capital (with John Ruddy) and The City of Darkness in the Ten Courts of Hell (with Newt). Sign up for the table you wish to play on. I’ll be giving a quick talk about making of Monkey 2, of which copies will be available. In between games, I will be selling books and magazines on the Magic Stall which magically appears between game slots. I’ve got small stock of Monkey the RPG in Hardcover at the special convention price of £23. Also on sale: Hearts in Glorantha, Gloranthan Adventures, River of Heaven, The Hollow West, Project Darklight, Hunters of Alexandria.